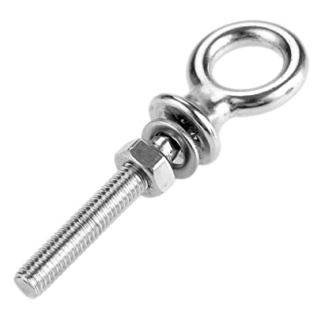 PRODUCT: #SSS144 FORGED STAINLESS STEEL SHOULDER EYE BOLT WITH NUT AND WASHER. Price/ 50. We can produce Eye Bolts in lengths other than that shown in all diameters up to 12" in length. Please contact us for quote.